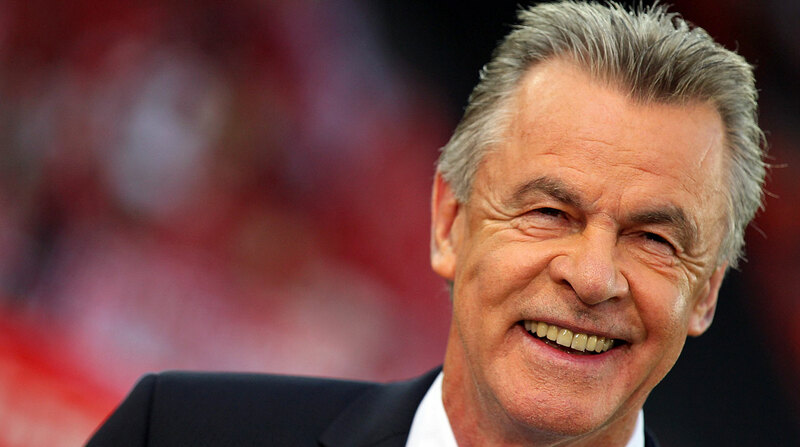 Ottmar Hitzfeld was a genius. A managerial legend and incalculably respected coach, his legacy cannot be overlooked when considering the greatest managers of all time. Football managers have always taken on the persona of superior beings. The all-seeing eye over the various nuances that comprises a football team and the purveyor of revolutionary tactics, it takes a particularly strong character to cut it as a successful manager. Some have faltered over time, some have crumbled horrendously under the immense pressure, and some have promised much but never quite delivered. Others, however, have been perfectly attuned to the unique rigours of top-flight football management. Ottmar Hitzfeld fits the bill description. The image of Hitzfeld and Sir Alex Ferguson strolling down the touchline at Old Trafford together, exchanging pre-match thoughts in advance of Manchester United’s crucial home tie with Bayern Munich in the Champions League group stage in December 1998, was both striking and fascinating. These were two men; vastly experienced, seasoned coaches, still with a burning passion for their profession. Two master craftsmen primed for battle, but with the capacity for respect and courtesy. Ferguson was always interested in fellow managerial masterminds. He may have had a bitter rivalry with Arsène Wenger, but he always admired how the Frenchman built a formidable team at Arsenal. Indeed, the Scot may have been seething with rage as he watched the preposterously cocky José Mourinho gallop down the touchline in ecstasy at Old Trafford, but he still deeply admired the talent and managerial nous the Porto coach had exhibited in overcoming United in two legs back in 2004. Similarly, Hitzfeld was the cause of some of Ferguson’s darkest days as United manager; Der General became the only manager to defeat Ferguson’s United both home and away in a two-legged European tie, achieving the feat with Borussia Dortmund in 1997 and Bayern in 2001. However, Ferguson could not hold a grudge; he had been beaten by someone who had comprehensively out-thought him. He had met his ultimate adversary. Hitzfeld will always be remembered as one of the forefront practitioners of tactics and management. Belonging to a most elite group of coaches to have won a European Cup and Champions League with two different clubs – Ernst Happel, José Mourinho, Carlo Ancelotti and Jupp Heynckes being the others – the exceptional German thoroughly deserves his place in the pantheon of brilliant managerial minds. Seven Bundesliga titles, two Champions Leagues and an array of other assorted team and individual honours and accomplishments, Hitzfeld built a managerial dynasty which any burgeoning coach would do well to emulate. The World Cup in Brazil in 2014 will be remembered fondly for many things but perhaps too few will recall the tournament as Hitzfeld’s swansong. Guiding Switzerland through the group stages, the German coach took charge of his final game in football against eventual runners-up Argentina on a warm July evening inside the Arena de São Paulo. The Swiss, who set-up to frustrate the attacking powers of the South Americans, could count themselves unfortunate after Ángel Di María kept his composure to fire an angled drive beyond Diego Benaglio in the 118th-minute. The goal brought the curtain down on Hitzfeld’s 31-year coaching odyssey in palpably cruel fashion. The Nati had battled valiantly against the much fancied Argentines but, in the end, the footballing Gods struck a withering blow to one its finest sons. Hitzfeld, looking characteristically thoughtful on the touchline, shook the hand off Alejandro Sabella – Argentina’s victorious manager – before greeting his fallen heroes with a hug and a word of commiseration. It was a poignant and painful end for the 65-year-old, but he will not dwell on suffering defeat in his final game, nor will he harbour ill-memories of football’s most prestigious event. In fact, Hitzfeld pulled off one of his many managerial masterstrokes in the 2010 World Cup, when his Swiss side overcame eventual champions, Spain, 1-0 in the group stage. It was that year’s major upset and downing the European champions surely ranks as one of his finest achievements. The result was hailed as an exhibition of tactical genius from Hitzfeld and he was canonised as “St. Gottmar” in the Swiss publication Blick following the triumph. It marked the culmination of Switzerland’s impressive ascension under the German following his appointment in 2008, transforming an underachieving group of players into a highly effective unit who became the scourge of the world’s finest national sides. Hitzfeld took over with the Swiss team in disarray. His first match in charge ended in a disappointing 2-2 draw with Israel before falling to a confidence-shattering 2-1 home defeat to minnows Luxembourg – their first World Cup qualifier win since 1972. The outlook was distinctly bleak for the Switzerland; the loss in Zürich to Luxembourg was slammed as the “embarrassment of the century” by Tages-Anzeiger. However, Hitzfeld never lost his faith in the team and weathered the rising media storm. Utilising his vast experience and nous, he galvanised a side desperately low on morale and led them through a dramatic turnaround, finishing the qualifying campaign on top of the group. Taking his now self-assured Swiss side into the World Cup, he outsmarted Vicente del Bosque and claimed that momentous opening victory at the Moses Mabhida Stadium in Durban. It was not the first time Hitzfeld had upset the odds under the most intense pressure. Rewind back to 1997, during his spell in charge of Borussia Dortmund, and you find another example of his mastery. Hitzfeld met Ferguson’s United in the semi-final and orchestrated back-to-back 1-0 victories to dispatch of the Red Devils. However, the real test awaited Dortmund in the final; Marcello Lippi’s formidable Juventus team. A mere glance at that Bianconeri squad explains why Dortmund were widely considered as underdogs: Zinedine Zidane, Alen Bokšić, Didier Deschamps, Ciro Ferrara, Christian Vieri and, on the bench, Alessandro Del Piero. It was an Old Lady squad brimming with world-class talent and Lippi was wholly expected to repeat his 1996 triumph over Ajax. However, fate was firmly guiding Hitzfeld’s yellow and black army that evening as they rocked the Olympiastadion in Munich with a stunning 3-1 victory. The final’s unforgettable moment was undeniably Lars Ricken’s sumptuous chip over Italian ‘keeper Angelo Peruzzi to restore Dortmund’s two-goal advantage and crown them Kings of Europe for the first time in their history. Unsurprisingly, Hitzfeld played a crucial role in maintaining Dortmund’s concentration and belief in the moments immediately preceding kick-off. He later spoke of how he gave Dortmund the courage to battle a technically superior Juventus side tooth and nail. Hitzfeld used his time expertly in the weeks leading up to the game; he planned meticulously by identifying the weaknesses in the Serie A side’s game. Peruzzi was that weakness. Hitzfeld instructed his team to test Peruzzi in aerial situations, specifically striker Karl-Heinz Riedle. The tactics paid the ultimate dividends – Riedle beat Peruzzi to the ball at two corners to score his two goals while Ricken humiliated the goalkeeper even further by audaciously flicking the ball over his head from 30 yards. However, Ricken’s skill was not spontaneous; it was born out of Hitzfeld’s research. Before entering the game as a second-half substitute, Ricken was reminded by Hitzfeld of Peruzzi’s tendency to stray dangerously from his goal-line. Hitzfeld told him that if he spotted Peruzzi roaming his penalty area, he would take advantage and score the decisive goal. Hitzfeld instilled great confidence in Ricken before he entered the fray and it showed, with the forward latching onto a through ball and, with his first touch of the Champions League final, scooped the ball majestically over a flat-footed Peruzzi to kill off Juventus and clinch club football’s most lucrative trophy. Hitzfeld was the conductor of Dortmund’s operatic rise to prominence, from building a team out of sensible spending to moulding them into European champions. Hitzfeld drafted Paul Lambert in from Motherwell, knowing that the Scot’s no-nonsense style of midfield play would give his Dortmund side balance. Indeed, Lambert’s performances against Manchester United were praised by Roy Keane while he effectively nullified the threat of Zinedine Zidane in the final, forming a stubborn defensive barrier in midfield with Paulo Sousa. Hitzfeld had propelled a Dortmund side from languishing in mediocrity to hoisting the most coveted prize in the game above their heads, earning himself the official title of UEFA’s World Coach of the Year soon after. In the six years he spent at the Westfalenstadion, Hitzfeld built his reputation as a tactical guru and terrific man-manager, before he took on the biggest job in German: managing Bayern Munich. Der General was acutely aware of the task at hand and he spent months scrupulously studying how he could turn Bayern into European champions like he had done with Dortmund. The pressure on Hitzfeld’s shoulders was extraordinary. At Dortmund, he had achieved the ultimate fairy-tale in realising Dortmund’s dream of becoming European champions even though nobody had expected him to do so. However, at Bayern the landscape was entirely different. Hitzfeld was charged with the task of claiming Bayern’s first European Cup since the legendary side of 1976. He showed a real determination to usher in the new dawn at Bayern, leading the Bavarians to the Bundesliga title in emphatic, record-breaking fashion in his first season in charge. His maiden voyage with the German giants would end in catastrophe, though. Beaten on penalties by Werder Bremen in the DFB-Pokal Final, Hitzfeld then met his old adversary Ferguson in the 1999 Champions League final. A clash of two titans in European football’s showpiece event, Hitzfeld and Ferguson met once more under an atmosphere of white-hot intensity. The German was trying to win Bayern’s first European title in 23 years while Ferguson was attempting to become United’s saviour after 31 barren years in the European Cup. It was literally the biggest match of both men’s lives. Bayern dominated from the outset. Hitzfeld had poured hours of preparation into the match. A mathematics graduate, the Bayern coach applied his unwavering attention to detail ahead of the final with United. Knowing that Ferguson’s men were weary and battered from a gruelling title race with Arsenal and had just played Newcastle in the FA Cup three days prior, Hitzfeld sent his team out to attack aggressively, attempting to further wilt United’s exhausted limbs. After six minutes, Mario Basler’s deflected free-kick put the Germans in the driving seat. United struggled to impose themselves after going behind. Lothar Matthäus commanded the German defence supremely, Stefan Effenberg and Jens Jeremies controlled the tempo in midfield whilst Basler, Carsten Jancker and Alexander Zickler wreaked havoc on Jaap Stam and Ronny Johnsen. In all honesty, Bayern were vastly superior for 90 minutes of that match and deserved to win purely on merit. However, football has a funny way of working its magic and fate was not to be on Hitzfeld’s side that night in Barcelona. With Ferguson spotting the need for fresh impetus, he threw Teddy Sheringham and Ole Gunnar Solskjær into the battle, noticing that Bayern’s enthusiasm and energy had waned severely. It proved to be Fergie’s greatest masterstroke as both strikers scored in stoppage time to give United the most dramatic Champions League victory of all time. The impact on the Bayern squad was one of indescribable shock. Effenberg was visibly shaking, Matthäus was frozen with shock on the bench while Samuel Kuffour punched the ground in disbelief. Hitzfeld peered into the distance, through the hordes of enraptured United fans and players and accepted to himself that sometimes that is how football goes. He was, at that stage in his career, an advanced student of the game and was not to be embittered by this dark chapter in Bayern’s history. Undeterred, Hitzfeld marched on. 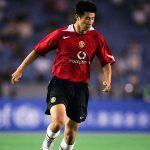 He led Bayern to another two German championships and meeting United once more, this time in the quarter-final stage in 2001, there was to be no glorious victory for Ferguson. Bayern had been forced by Hitzfeld to banish the ghosts of 1999 before they methodically outplayed their torturers to run away 3-1 over two legs. Bayern stamped their authority on the ties in a sweeping manner which simply overwhelmed United. In the end, Ferguson accepted that he had been outdone by an old foe to whom he had the greatest respect. There was to be no mistaking in Die Roten’s execution this time. After Bayern dispatched of Real Madrid in the semis – exorcising more demons after falling to the Spanish giants in 2000 – Hitzfeld’s men met Valencia in the final. Seeing a glint in the eye of Héctor Cúper, who had led Valencia to the final against expectations much in the same way as Hitzfeld with Dortmund, the Bayern coach nevertheless didn’t let empathy stand in his way. Bayern and Valencia played out a nerve-shreddingly tense 0-0 draw. However, Hitzfeld ensured his team kept their focus and stayed strong to eventually prevail in a penalty shoot-out to become European Champions for the first time in a quarter of a century. Hitzfeld had engraved Bayern’s name onto the trophy once more and placed himself alongside the legends of that ’70s team in the history of Germany’s most successful club. The point to remember was that Hitzfeld had only let the defeat to United strengthen him as a coach, remind him that in life there are bad times as well as good. That was the kind of manager he was; astute, remarkably perceptive and accepting of the nature of this beautiful game, Hitzfeld instilled these fine qualities in his teams and built a dynasty rivalled by few. At heart, he was always a winner. At heart, he was a master. At heart, he was Der General.